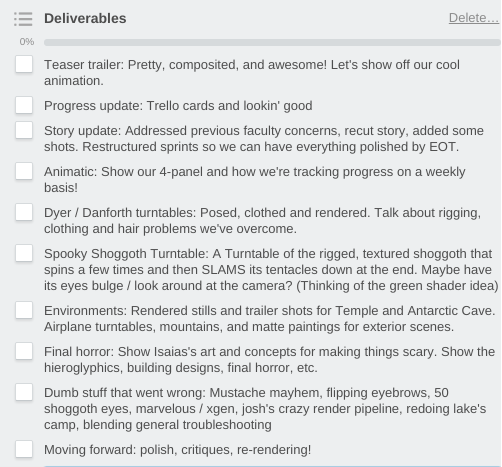 This week I spent a lot of time giving the Shoggoth some TLC. Aw, isn’t she a cutie? 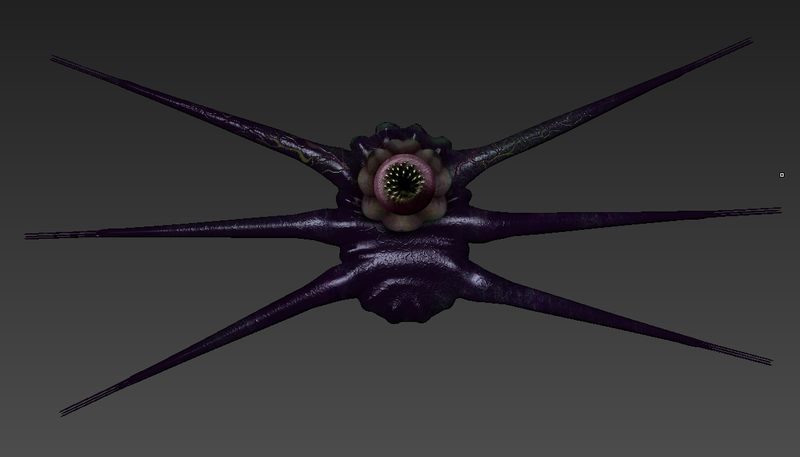 Posing this model for texturing was a bit of a challenge. 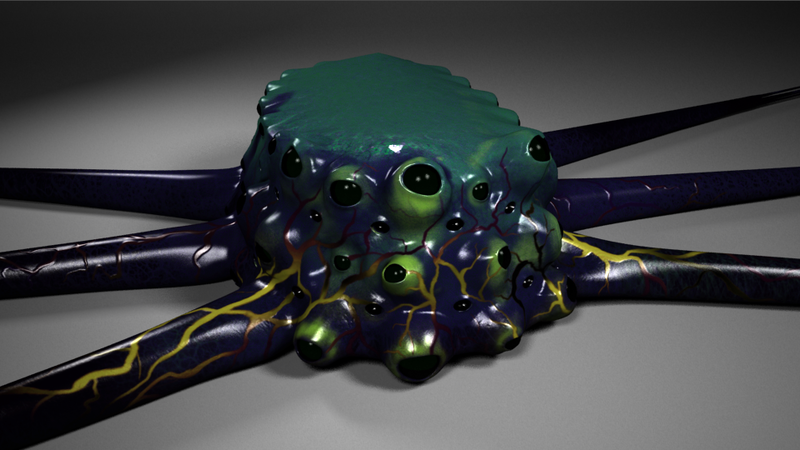 I decided that since the Shoggoth’s resting pose is completely different than the grid-based bind pose (refer to Anthony’s PPJ), I would have to pose the eyes and mouths into weird, bulging shapes to fully see the effects of my textures. 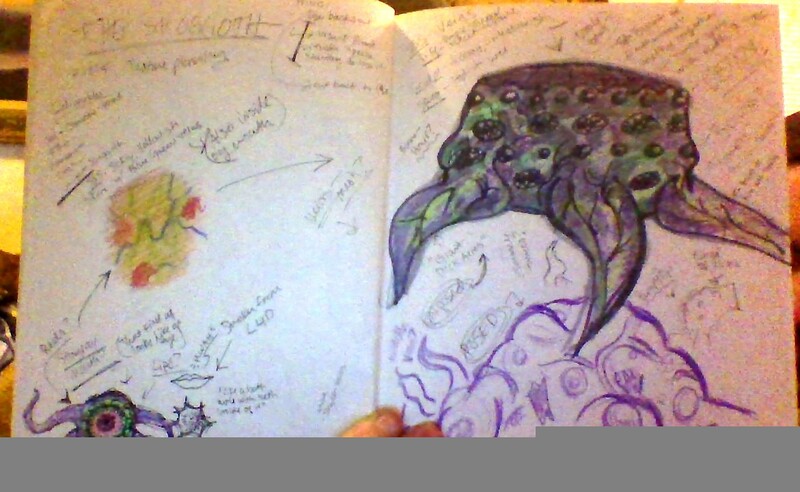 I spent a great deal of time researching rotting meat, worms, brains, tumors, brain tumors, deep sea fish, lampreys, lotus pods, octopodes, viruses and fungi to inspire a design. Fun, right? 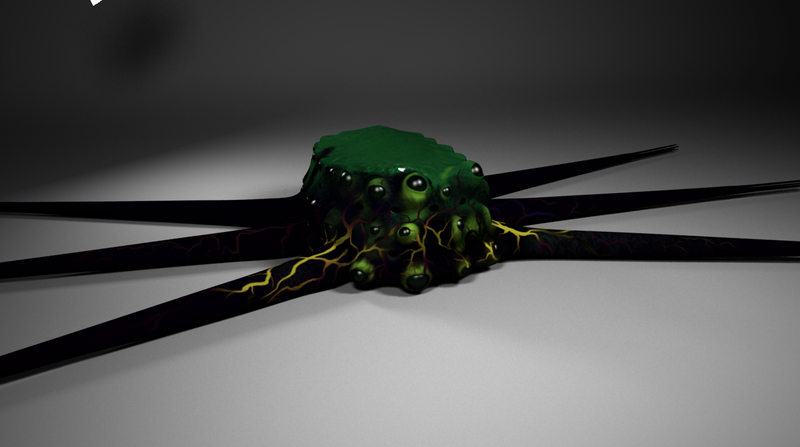 I painted the veins and texture maps in Mudbox, and then rebuilt the shoggoth on a VRay lighting stage. Josh will be helping out with shaders this week. 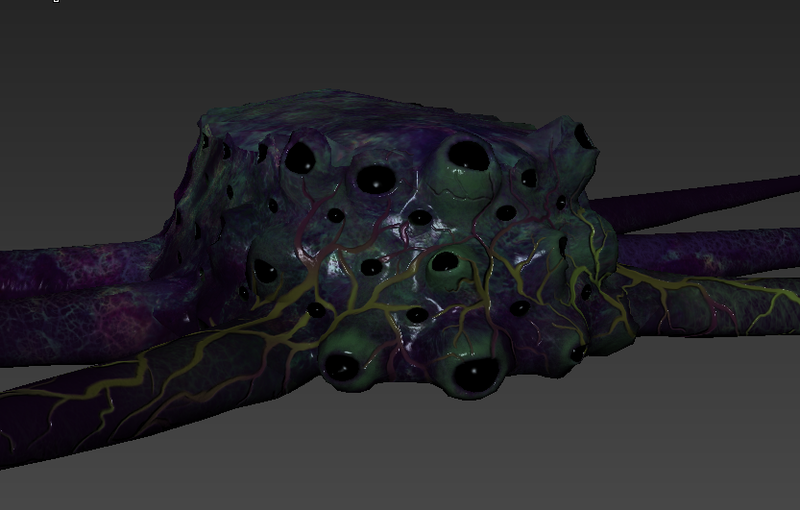 In order to give the shoggoth an unearthly, unsettling vibe, we’ll be combining the painted textures with a 3D procedural noise map with a blend material. 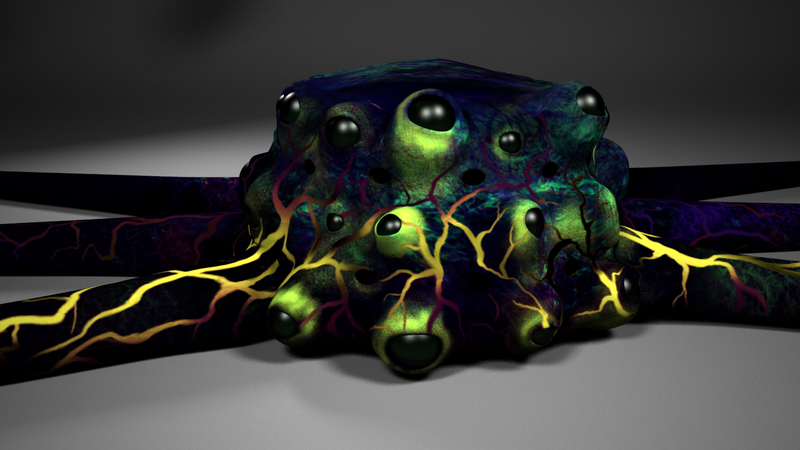 The noise map will be similar to that in the second image, and will stay still in 3D space while the shoggoth warps and bulges around it (almost like a 3D mask). We want to give its insides (beneath the veins) a “color out of space” kind of vibe. 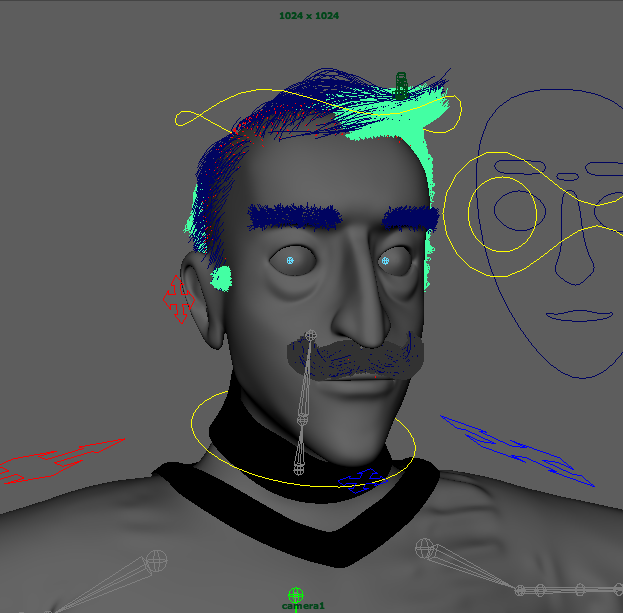 Dyer was, as usual, a complete pain to work with. 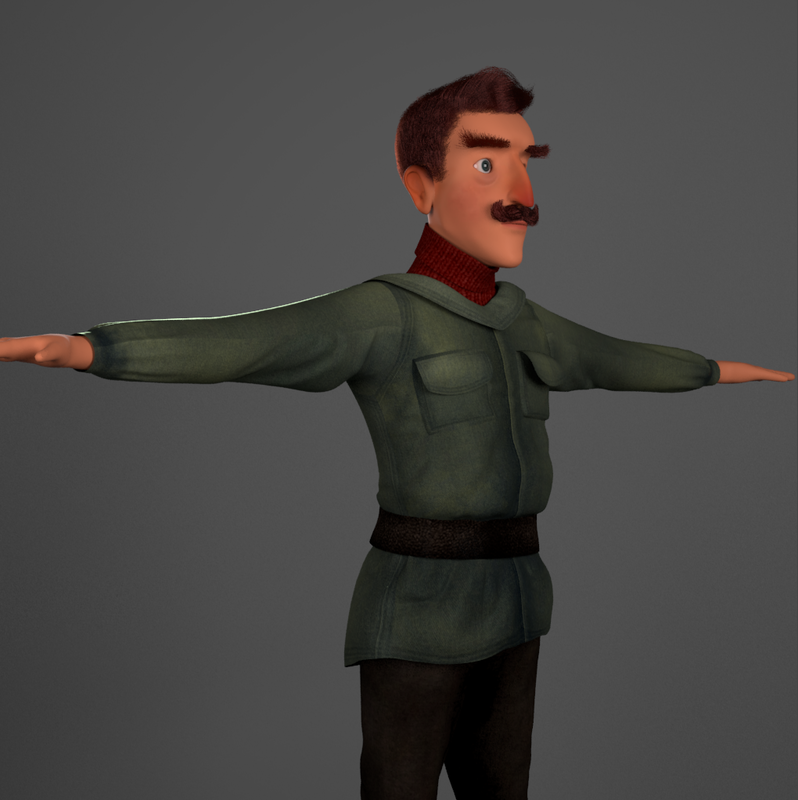 After opening our current version and beginning to work on textures, I realized that both his hair and eyebrows were outdated, completely unstyled, and a little bit broken. 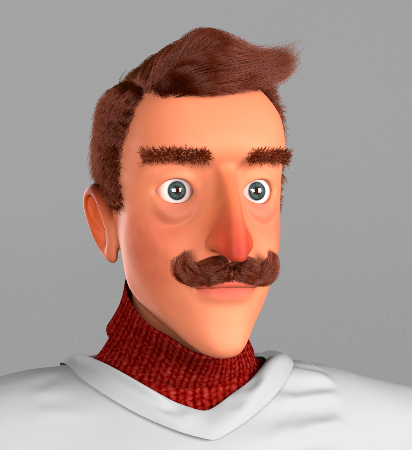 So, I spent another night ironing out the problems with that before I even got around to his clothes. 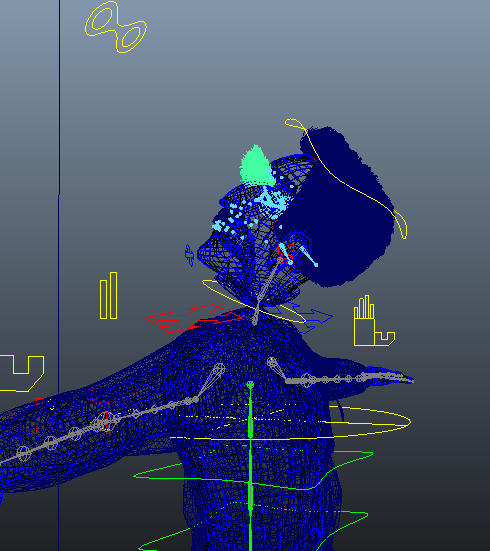 That night I also learned that a viewport error caused by nHair was actually fine on render time, which was a relief. This night also involved a lot of sideburns shaving. 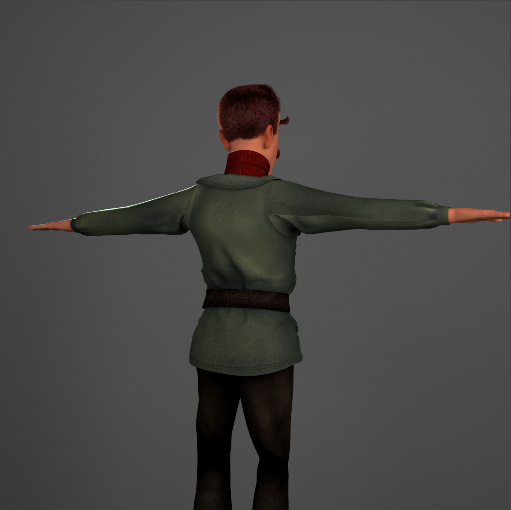 I then moved onto texturing Dyer’s coat, creating materials, bump maps, and restyling the geometry. I was aiming for a mixture between the Antarctic reference I posted earlier and a military style water-resistant jacket. I went with olive tones this time, which I like better. 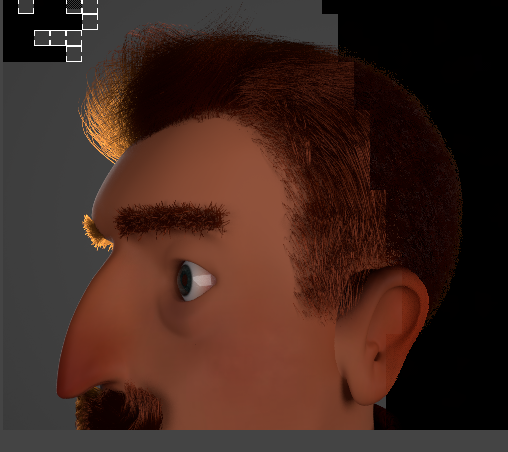 I also adjusted his complexion and hair specularity a bit. Seams have since been cleaned up! Now I just need to make the presentation, and make it happen!